Along the Fiery Gizzard Trail. 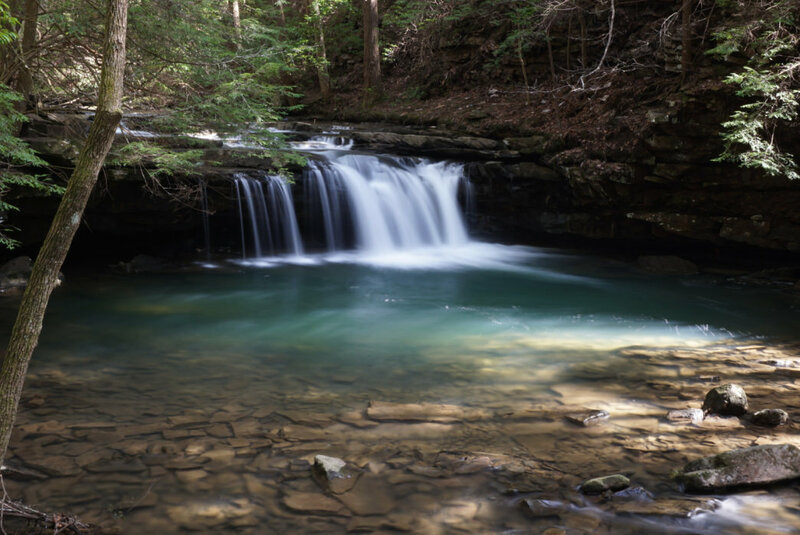 Named as one of the country’s top 25 trails by Backpacker magazine, Fiery Gizzard Trail is a great challenge for veteran trail runners or if you’re training for an ultramarathon. This is a long, challenging route. There are sections that have rocky and steep descents/ascents. Fiery Gizzard is a popular trail near Tracy City, Tennessee. Ranked as one of the top 25 trails in the country by Backpacker magazine, it has spectacular views, rocky river gorges, and plenty of waterfalls along the way. This route is a great training run for a technical ultramarathon, or for a trail runner who wants more of a challenge. If you are looking for a long and challenging trail run with some technical aspects, this is the one for you. It happens to be one of the most gorgeous routes in the country, too, which might help to distract you from how hard you’re working. You can start off Fiery Gizzard Road or off Foster Falls Road—both ways will have challenging terrain. From Fiery Gizzard Road south, warm up on the two-mile Grundy Forest Day Loop, or just head straight to Fiery Gizzard (the beginning is relatively easy anyway). It won’t take long before you’ll start to see some of the area’s waterfalls and other natural wonders, like the Black Canyon and Chimney Rock, a 20-foot-tall rock column. Around the 1.5-mile mark, you’ll come across one of the connecting trails, Dog Hole Trail. You can follow the connector trail up to Raven’s Point Overlook, which is an easier route, or you can choose to stay on the Fiery Gizzard Trail and drop down into the canyon for a couple miles of rocky terrain. If you stay on Fiery Gizzard, be prepared for some of the most challenging running you’ll ever find in Tennessee. And you’ll still have a steep climb back up near Raven’s Point. Either way, Raven’s Point Overlook is one of the best views on the trail, so you’ll definitely want to take a break up there. Continuing on from Raven’s Point, you pass some smaller waterfalls and an old moonshine still before a rocky descent into Laurel Branch Gorge. Once you reach the other side, you’ve still got 2.5 miles to go. The rest of the trail will follow a somewhat level path along the bluffs, and ending just past Foster Falls, where you can turn around and do it all over again or get picked up at the nearby parking lot. 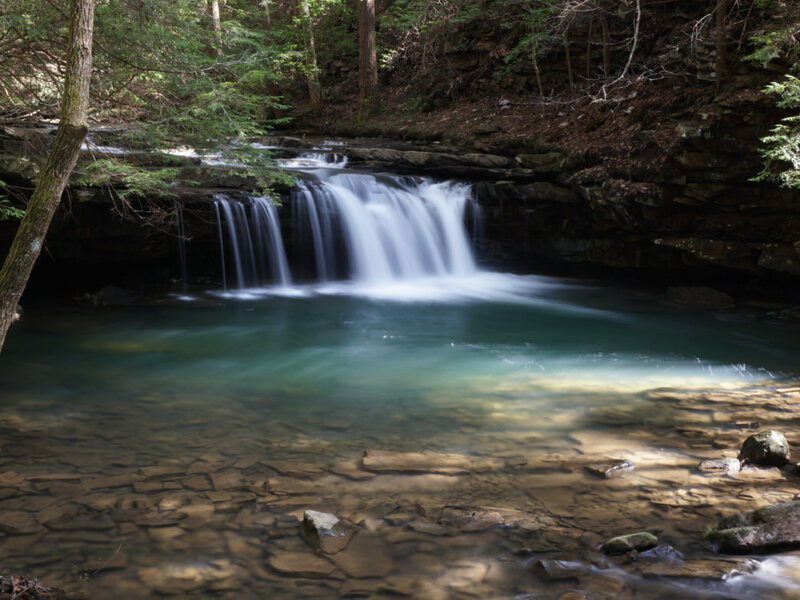 Fiery Gizzard is a strenuous adventure with its steep terrain and 12.5-mile distance. If you take on the challenge, you’ll see a number of waterfalls including Foster Falls, Yellow Pine Falls, Blue Hole Falls, and Sycamore Falls. On the other hand, if the 12.5 miles isn’t enough of a challenge, you can jump on one of the connecting trails, like Dog Hole Trail and Grundy Forest, or add on the two-mile Grundy Forest Day Loop. Fiery Gizzard Trail is accessible from US-41 through Tracy City. You can also come from I-24 at Monteagle. Check out Fiery Gizzard trail map for more information. Written by Lauren Brooks for RootsRated.